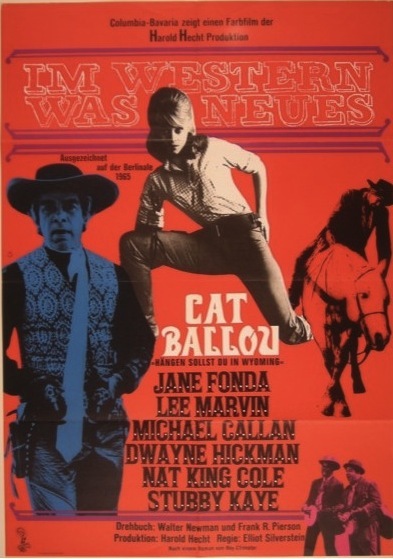 CAT BALLOU (1965); Dir: Elliot Silverstein; Starring Jane Fonda, Lee Marvin; featuring Q&A by Dwayne Epstein, author of the new biography LEE MARVIN: POINT BLANK, including a book signing; Sat. Feb. 2 3:00 p.m.; $5; The Plaza Theatre; sponsored by Atlanta Film Festival and A Capella Books. Trailer here. Lee Marvin is an icon of 1960s cinema, a legendary screen tough-guy who punched hard and lived harder, or at least that’s how the story goes. Before he became famous on the screen, Marvin worked for years in thankless villain roles and bit parts, often outshining his co-stars, and it took over a decade of hard work and a few unhappy years in series television before he finally saw a reward for his effort. During his Hollywood peak, Marvin starred in a string of classics that rewrote the rules on screen violence and forever changed the landscape of American cinema: THE PROFESSIONALS (1966); THE DIRTY DOZEN (1967); POINT BLANK (1967). Dwayne Epstein has spent almost two decades researching the life and legacy of Lee Marvin. Epstein had unprecedented access to the Marvin family and a mountain of records and personal letters, and the result is the first major biography of Marvin to dig into the roots behind the actor’s history of violence, his unusual family legacy, and the demons that drove him to alcoholism and hell-raising. Epstein will be signing his book—LEE MARVIN: POINT BLANK—at the Plaza Theatre on Saturday, Feb. 2 at 3 p.m. and provide a Q&A for the only film to gain Marvin any Oscar recognition, the western comedy CAT BALLOU. ATLRetro recently spoke with Epstein to ask him about the book and about Marvin’s storied career. ATLRetro: You’ve written a large number of Hollywood biographies for the youth market. 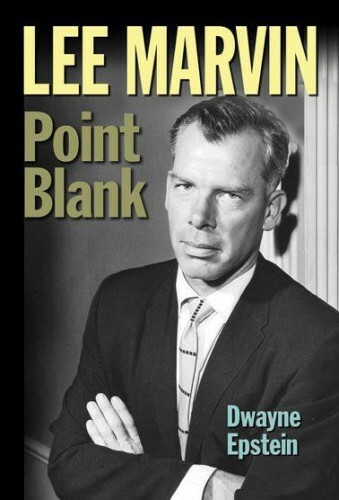 LEE MARVIN: POINT BLANK is the first adult biography that you’ve written. Dwayne Epstein: That would be accurate. The other biographies I’ve written were for a company called Lucent, and they were for a series called People in the News. A lot of them were what you would call Hollywood biographies, but also about political figures. I wrote about Hillary Clinton and Nancy Pelosi, as well as Adam Sandler, Will Ferrell, Denzel Washington. I wrote another book for Lucent called LAWMEN OF THE OLD WEST for a series called History Makers. That was just helpful and a way to pay bills while I worked on the Lee Marvin book. Why Lee Marvin as the subject of your first major biography, then? Lee Marvin has always fascinated me. I’m a baby boomer and I grew up watching THE DIRTY DOZEN on TV, way back when they were showing it in two parts. I can watch it now and distinctly remember when the first part would end and the second part would begin. Even when they show it on Turner now, uncut and all the way through. In all of his films, he was always very distinct to me, even when he was not the leading actor. Even more so after I decided to write a book on him, and the more I found out about him. He was much more than he was on screen, obviously, just like most people are. He was a fascinating man. When I researched the book, I discovered he really was the first of his kind, I mean of the post-war actors; he pretty much created the modern America cinema of violence as we know it. It came from him, not from Clint Eastwood. Lee Marvin predated Clint Eastwood by a couple of years. You say you’ve been researching the book for a long time, and the research is obvious when you read it. How long did you research and work on the book? I began in 1994, so that went on about 18 years. Many of the people I interviewed for the book are no longer with us, and it was a real saving grace in some ways that I was able to do it when I did. Such as his brother, who had never been interviewed before. That became kind of a cool story. Like I said, he had never been interviewed, and I found that his brother had worked for the New York City school district and that he was a teacher. I have a cousin in New York who works in the teacher union, and I contacted her and asked her if she knew of a way to get into contact with Robert Marvin, and she said if he had any connection with the teacher’s union at all, [she’ll] find him. And she did. At the time, he still lived in the Marvin family home up by Woodstock, NY. I took a shot and gave him a call, and lo and behold I wasn’t on the phone with him two seconds when I knew I had Lee Marvin’s brother. He sounded just like him. Yeah, he had a distinct voice. Yes, he did. That voice was one of his many, many great attributes as an actor. 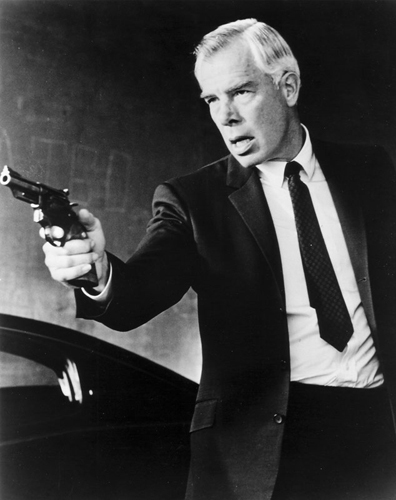 Lee Marvin in POINT BLANK. MGM, 1967. You mention in the book that there had been studio biographies written on Lee Marvin, but that they had inaccuracies. Why did it take this long for someone to get to the definitive Lee Marvin story? When I say studio biographies, I mean something produced by the studio to promote the film. Not an actual print biography. Press books and press releases, what have you. Some of the misinformation that’s been put out there is a result of Lee Marvin himself. He loved mythology and he created his own mythology. One or two other books had been printed previously, and if there’s been misinformation there, it’s because Lee Marvin loved to tell stories. He was a heck of a storyteller. He knew a good story when he made one up, and he would promote it. Your book is getting beyond all of that and collecting the facts from everyone else, though. Right. As often as I could, I would verify a particular story from one source with another source. I would compare one version of a story to another, such as how he got started as an actor – him often saying he was fixing the toilet at the Maverick Theater in Woodstock when his destiny called. But there are several quotes from people in that same time period who say that would be pretty hard to do since the Maverick Theater didn’t have a toilet. When reading the book, Lee Marvin’s family is just as important to the book as his career. He had the great uncle who died in Robert Peary’s North Pole expedition. That’s one of the most fascinating things I discovered while doing the research. I was blown away to find out the true story behind Ross Marvin. It’s kind of mind-blowing. Like, this guy had such a family history. That was one of the early connections I made to create the theme of the book. If you believe in this thing about fate or destiny or what have you, it was there in Marvin’s life before he was even born. His trail was preset, as it was. It dates back even before Ross Marvin. I love this story, and Lee Marvin loved to tell this story, too. The earliest Marvins in America helped settle the colony of Connecticut, and there was a puritan named Matthew Marvin who would go on fiery pub raids to get the farmers out of the pubs and into the churches. There was fire and brimstone in Lee Marvin’s ancestry. He also had a varied history in terms of the colorful characters in it. He was related to George Washington and Robert E. Lee, which is why he has the name that he has. His older brother’s name is Robert, and he’s Lee. His mother was a very conscientious Virginia southern woman, and that kind of thing was important to her. 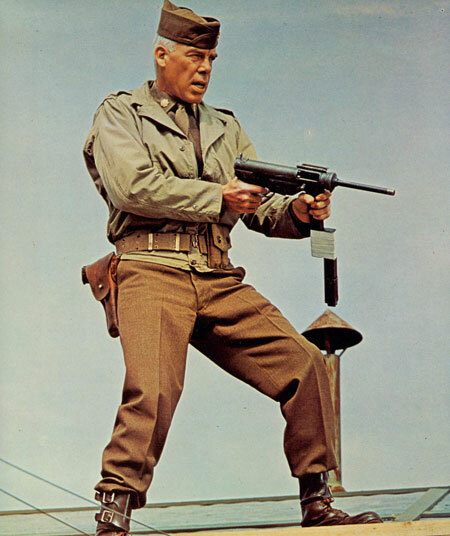 Lee Marvin in THE DIRTY DOZEN, MGM, 1967. You talk about the theme of his family, and I noticed that there’s another theme running through his story about absent fathers. His father was always traveling, and his father was raised by his uncle who passed, and Lee Marvin was always traveling. You’re right about that aspect, but to give it even more perspective, I would say that dysfunctional family was really a looming shadow in Lee Marvin’s life. The violence that was perpetrated during World War II did propel his career as an actor, but it wasn’t the end-all, be-all. Before that, he had travails in his family. There was alcoholism, there was abuse, all kinds of stuff. And like many families like that, there was still love. Everybody in the family loved each other, they just didn’t quite know how to handle their emotions. I want to talk for a second about this interesting chapter that you wrote. Marvin is in the Pacific Theatre in World War II, and you construct his military career almost entirely through the letters that he was sending home. You have some commentary, but almost the whole chapter is just his letters. What was it about his letters that you found so compelling that you wanted to just let him take the stage? I’m glad you mentioned that. That was a conscious choice based on a crisis I was facing. I knew how critical that chapter was. It was the very foundation to a lot of Lee Marvin’s life, and I didn’t want to screw it up. I’ve never seen battle, and badly written battles or wartime remembrances are untrue and they can really turn the reader off to the rest of the book. If it’s done well, listen, I’m not Ernest Hemingway. I can’t write that kind of thing. And it was quite a dilemma for me how to approach it, and then I realized while doing the research that if I put the letters that I had that had been previously given from Lee’s family in chronological order, I realized that he could write this chapter himself and he should. And that was the hardest part of doing that, deciphering what he wrote. He was dyslexic, and he had terrible handwriting. It was a lot like being an archaeologist, deciphering what he wrote. Putting them together, I realized this is Lee Marvin’s voice. Let him tell the story himself. In one of those letters he writes, towards the end of his time in the war, he’s had his fill of war. But he spent a huge portion of his career recreating war and violence on film. Was he working through his experience, or was it just another job for him? No, it was not another job for him, I can tell you that. There was something I discovered while researching the book, and I’ll take the heat for this if anyone gets mad at me. It was my diagnosis, for lack of a better word, that Lee Marvin had post-traumatic stress disorder. I had never read that anywhere, I came to that conclusion myself researching and reading about PTSD and reading about the symptoms. He pretty much matched all of them, and it really went unknown and undiagnosed until about 1980. Marvin died in 1987, so most of his life was spent without any knowledge of that. Consequently, in having these symptoms, he had to channel a lot of the anger and emotions and the symptoms of PTSD, nightmares, alcoholism, survivor’s guilt, a need for violence. All of these things kind of came together and he had to filter it somehow. Probably the most acceptable way to do so, aside from getting arrested on a daily basis, was becoming an actor. He prided himself on being able to do things on stage and on film that people weren’t allowed to do in everyday life. Throughout his whole life, he had struggles with marriages and struggles with alcohol. There was that infamous Robin Hood party in Vegas. What is he, dangling women out of a window with bedsheets? Do you think his alcoholism was related to his PTSD? I think there was a vicious circle kind of thing. He drank to forget, and when he drank, he became—there’s not any one thing, of course, but there was antisocial behavior, and being in Hollywood and being a big movie star in the 1960s, that kind of behavior became the talk of the town. People loved it. It’s not like working as a plumber in small time America, where it’s “did you see what Lee did at the party?” In Hollywood, it’s like “Wow! Wasn’t Lee great drunk at the party last night?” That kind of social strata encouraged it. It also ruined his marriages. A marriage, anyway. 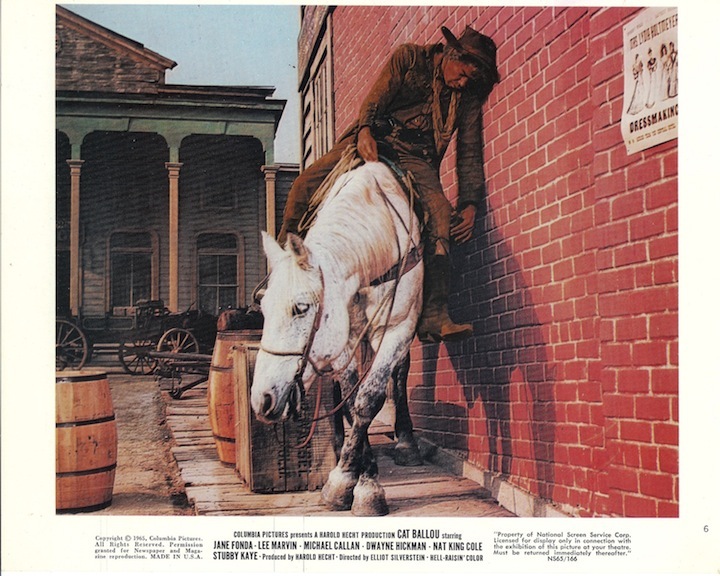 A lobby card of the famous drunk on a horse scene from CAT BALLOU. Columbia Pictures, 1965. I want to talk about CAT BALLOU for a minute. You’re signing books at a screening at the Plaza on Saturday. They’re screening the film that gave Lee Marvin his only Oscar. One for one. One nomination, one Oscar. The funny thing about that movie and it being his only Oscar is that it’s not really the kind of movie you’d associate when you think of Lee Marvin. Why CAT BALLOU? Why did it resonate? It’s interesting. A few years before he passed away, a reporter said to Marvin “I don’t really think you deserve the Oscar for CAT BALLOU, it’s not really your best work.” He surprised the reporter by saying “You’re right. It wasn’t my best performance, and I don’t know if I did deserve the Oscar for that. But there is such a thing as being on the Oscar track, and I was on the Oscar track with that film.” He was as surprised as anybody to see how successful it turned out. But one of the reasons why it was as successful as it is, I interviewed the film’s director Elliot Silverstein, who told me some fascinating stories about the making of that movie. Lee didn’t play that movie for comedy. The main character, I mean, because it was a dual role. He played the main character of the drunken, burned-out gunslinger as a tragic figure. He played the character as someone who is past his prime, and what do you do with a gunslinger when nobody wants him anymore? He compared it to many things, an old soldier, a broken-down prize fighter, a retired athlete who had his day in the sun and is now making change, that kind of thing. There’s a wonderful moment when Jane Fonda tells her father, “How would I know he was going to be a drunk?” And when she says that, Marvin looks over his shoulder at her, with a look of pain in his eyes. It’s some of the best acting he’s ever done. But it’s not something that normally wins Oscars. 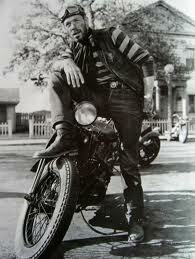 Lee Marvin in THE WILD ONE. Columbia Pictures, 1953. Well, if the movie came out today, I feel like it would be the kind of role to get you an Oscar. It’s a dual role, which is difficult, and he’s playing outside of his type. He is, but what’s interesting, too, is that he was cast because in a weird way he was making fun of the stuff he had done before. There’s a lot of Liberty Valance in Tim Strawn, Kid Shelleen’s brother. There’s a little bit of that in Kid Shelleen. Silverstein said that the reason he was casting Marvin in the first place is that a couple of nights before, he had seen Marvin in THE WILD ONE (1953), and he remembered the way he fell off his motorcycle. He did that in a very funny way; he knows how to move. There’s a little bit of a lot of other things Marvin had done on film that come across. I noticed that myself, that dual role is kind of spoofing on his Liberty Valance role. If it was just the old coot, if it was just Kid Shelleen, does Marvin get the part, or does Jack Palance get it like he wanted? The funny thing is, Palance let everyone know that he wanted the role. Apparently he wasn’t even considered for the part. [both laugh] And if Palance had done it, he would have been parodying the character that he played in SHANE, which is what put him on the map. But for Marvin, there were several major actors at the time that were considered and for some reason or another—well, we know specifically that Kirk Douglas passed on it. Jose Ferrar was considered, Burt Lancaster. Several others. As years go by, there’s a debate about how much of this is actual and factual and how much was urban legend. But I do know that once Lee Marvin got the part—and he had to be convinced, too, by his wife and his agent—and once he got the script, he started quoting the dialogue in the party circuit, because he thought it was the best dialogue he’d read in a long time. He had problems with the character because it was a physical character to play. You have to sell it broad, but with it being broad, you’ve got to be believable, or the audience is going to say a few seconds into it that this is just a cartoon. And yet, he was able to pull it off. To me, he definitely deserved the Oscar. That’s another thing, too. Comedies don’t generally win Oscars, and he pulled it off. It was fairly late in his career when he won that Oscar, but it was also fairly late in his career when he became a household name. Why do you think it took so long for audiences to warm up to him? There’s another question outside of film in general, and that’s do the times make the man or does the man make the times? With Lee, I think it was a combination of wonderful things converging at the right time. He wouldn’t have made it as a star in the 30s, 40s, and 50s because it was a different thing required by both the studios and audiences. The 60s were a very interesting time cinematically, culturally, in this country in that the rules were changing, both on film and in the culture at large. There was the civil rights movement, the women’s movement, the generation gap, war, assassinations, rioting in the streets. This cultural basis helped Lee Marvin become a star. He wasn’t the only one, there were other stars at that time. You look at somebody like Steve McQueen. They’re different actors, but Steve McQueen wouldn’t have made it in the 40s and 50s. There’s always exceptions of course, Humphrey Bogart was the anti-hero of his time and didn’t look like a matinee leading idol, but Lee Marvin got something across to the audience that the audience wanted to see and hear, which is that man is a violent animal and I’m going to show you how violent he can be! And that was a component of the 1960s, a violent time. And movies like THE DIRTY DOZEN and POINT BLANK, which really wasn’t as accepted in its day as it became later on, a cult film, they were saying that guys in the middle class, with white hair and ties—they can do some pretty despicable things if they have to. And that’s what Lee Marvin was about. He was perfect for the 60s at that level. 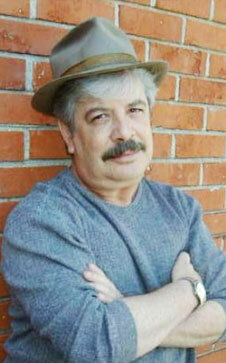 Dwayne Epstein, author of LEE MARVIN: POINT BLANK. One of the stories that jumped out at me from the book is that we talk about Lee Marvin redefining screen violence through his films, but another film that’s often credited with redefining screen violence was THE WILD BUNCH (1969). Now he didn’t star in that film, but there’s a bit in the book about him helping to write the screenplay! He did. He was the one who introduced the story to Sam Peckinpah. A friend of Lee Marvin’s had been working on the script, and Lee would periodically go over and help him a bit and mold it. And that part—if ever a part had Lee Marvin written all over it, it was the role of Pike Bishop in the THE WILD BUNCH. But unfortunately, as things turn out, he made PAINT YOUR WAGON (1969) instead. And I think it’s one of the greatest ironies of all time, that a man who defined modern American screen violence missed out on making the most important violent film of all time. It changed everything. He missed out on that. You look at the American Film Institute [which] does that greatest 100 American films of all time, and Marvin has always just kind of missed the mark for being on those lists, for having his name-above-the-title type film in that list. It would have been THE WILD BUNCH, and he missed that, which is very sad. So here’s a question, just for your opinion on his work. As he got older, a lot of aging actors go through that sad part of the career where they do a bunch of stinkers, and he did a few towards the end of his career. But he didn’t seem to sink as low as some have. He wasn’t Joan Crawford doing brain-dead horror movies. Yeah, yeah. So he had a knack for elevating material. Is there one film or performance in that forgotten section of his career you wish could be found again? Can you rescue something from the scrap heap? The films themselves are of various quality—[but there are] ones that I think are worthy of being discovered. The film itself isn’t that good, but I thought he was wonderful in DEATH HUNT (1981). He did some wonderful things in that movie. Also, GORKY PARK (1983). It wasn’t a very good film; it wasn’t well-received. It was based on a popular novel, but he’d never played a guy like that before. He played an American businessman who was very rich and imports sable into the Soviet Union. He’s just this wonderfully deadly guy who can wear a three-piece suit and do something heinous at the same time. Just a great performance on his part. Like I said, something he had never done before. And probably the best of them all was THE BIG RED ONE (1980), which he did about five or six years before he died, Sam Fuller’s epic retelling of his own experiences in World War II. Lee Marvin is a nameless sergeant who—he does things in this movie that I’ve never seen him do, in that film acting. There are a lot of elements to film acting, and one of them is being able to convey without dialogue because it’s a visual medium. There’s a sequence at the end of the film where he’s helping a concentration camp refugee. He’s just liberated a concentration camp, and he helps a little boy. There’s almost no dialogue in that sequence for like 9 or 10 minutes, and it’s all played on Lee’s face. He’s very poignant, and he’s not over the top. It’s some of the best film acting I’ve ever seen. And it’s kind of being rediscovered. It’s important and it should be, because it’s a great performance and a great film. Lee Marvin in THE BIG RED ONE. United Artists, 1980. Actually, when I was young, probably about 9 or 10 years old, I would grab everything at the video store and try to watch it, and I saw THE BIG RED ONE then. I’m pretty sure it was my first Lee Marvin movie, and even as a kid watching it, I absolutely loved that movie. I still have a soft spot for it all the way to today. I think in 2006, there was a restoration done. I haven’t seen the restoration yet. I loved it in the original version, so I’d imagine I’d really love it now. My personal opinion [is] I don’t think it was improved on all that much. I know it was meant to be a three-hour film and it got taken away from Sam Fuller, who by the way I got to know, he’s one of the many people I interviewed for the book. He loved Lee. That’s one of the tragedies, that they didn’t work together more. They worked together on television a couple of times. That was Sam Fuller’s opus, and he’s another film director being rediscovered. They discovered him in Europe first. He’s an American director, but in America he was considered a hack, and in Europe, he’s God. Now American film fans are starting to rediscover his work. He was quite an individual filmmaker. Nobody else could make a movie like THE NAKED KISS (1964) or SHOCK CORRIDOR (1963) or THE BIG RED ONE. There are things that are done in that movie that had never been done before in film, no matter how long we’d been making World War II films. The four lead characters with Lee Marvin looked like young soldiers. They don’t look like actors playing soldiers, they all looked to be the age 17 to 19, and they’re swimming in their uniforms, you know, the way it would be in real life. Things like that. OK, so, it’s a topic that never seems to go away. Throughout his career, Lee Marvin had to field questions about cinema and violence in society. And unfortunately, your book is arriving at a moment when that conversation is back in the news. Indeed it is. Unfortunately. The timing is badly fortuitous in terms of the book, but that conversation is out there. Well, you quote Lee Marvin a couple of times in the book; basically his quote boils down to he wants the violence in his movies to be incredibly brutal and realistic because he thinks it acts as a deterrent. The rougher the violence, the less likely someone is to try it. Right, that was his belief. I don’t necessarily hold to that belief, but Lee Marvin professed that. He believed that the more brutal you made it, the more you would turn people off. I don’t know if that’s necessarily the case. He made those statements before there were warfare videogames and things we see on the news on a regular basis that were much more graphic. The kind of violence Lee Marvin was talking about is not the kind of violence that, say, a Jason Statham action film has, where it’s quirky and cartoony, but it’s in your face every two seconds. It’s not like that MTV editing style that’s quick cutting, that’s not about the impact you would have on another human being. It’s like a videogame or cartoon. Let’s blow up as many cars as we can. Let’s shoot as many things as we can. Marvin’s point was, let’s show the threat of violence. I’m paraphrasing here, but he said, if I’m going to shoot somebody, I’m going to knock them down, walk over, shoot them two times, and then roll them over and shoot them again. And sell it! Not just have it happen quick and go on to the next thing. That’s not really what he thought violence was about. Violence is ugly, so show it to be ugly. It’s funny. You have this image—well, before I read your book, Lee Marvin seems to appeal to a certain stereotype of a conservative tough-guy, pro-war cinema. 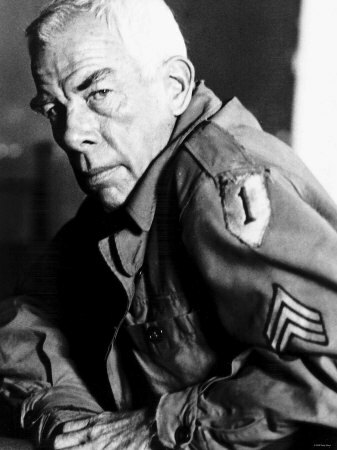 Was Lee Marvin pro-war? In the book, there are two other actors that you explore the similarities and kind of dismiss those similarities with Lee Marvin, and that’s Humphrey Bogart and Clint Eastwood. If those two aren’t good comparisons, who is the best comparison to Lee Marvin, in your opinion, before and after his time? There are elements in terms of being antiheroes—and by the way, what I wrote in the book about Bogart was really comparisons to Bogart before he was famous. Comparisons can be made, because Bogart’s career was very similar to Lee Marvin’s. He played a lot of bad guys and secondary roles before he made it with HIGH SIERRA (1941) and MALTESE FALCON (1941) and CASABLANCA (1942) and those films, but when Lee Marvin was doing supporting and secondary roles, he really tried to sell it and do the best job he could. If you look at Bogart in those early Warner Brothers films before he was famous, he looked so uncomfortable. He didn’t look like he was enjoying himself or having a good time. He looked like he was working, whereas Lee Marvin always tried to give a little more to the character, like saying to the audience, “I’m going to do something despicable here, and we’re going to have fun.” And that was a weird thing, too, that nobody had ever done before. There’s a lot of elements of Lee Marvin in other actors, you know? There’s a great quote by Errol Flynn in THE ADVENTURES OF DON JUAN (1948). He’s about to chase a girl, and he’d said he would never do that again. His friend says “I thought you weren’t ever going to do this again,” and Errol Flynn as Don Juan says “You know, there’s a little Don Juan in every man, and if I am Don Juan, there must be more of him in me!” The same goes for Lee Marvin. There’s a little Lee Marvin in a lot of actors, but there’s only one Lee Marvin, and there’s more of Lee Marvin in him than anyone. One last question. Besides the obvious connection to one of his most well-known films, why choose the title POINT BLANK for your book? I had a devil of a time coming up with a title. I had several things I was thinking of, but once I wrote the introduction, I realized that what Lee Marvin did that nobody else had done before him was that he presented violence on film like nobody had done before and consistently. That’s the other thing. There were moments of violence in American cinema that were pretty bad, like when Richard Widmark pushed a lady in a wheelchair down a staircase [in KISS OF DEATH (1947)], but after Richard Widmark did that, he never played that kind of character again which is, you know, a tragedy. But Lee Marvin, once he established himself, never walked away from how violent mankind can be. He was in your face with the way it was presented. I thought if I could come up with a name for that style, and that was point blank. Just that’s how he was. He was point blank, in your face, no excuses.